KFC is certainly known for pushing boundaries when it comes to outrageous calorie bombs and food mashups (remember the Double Down?) 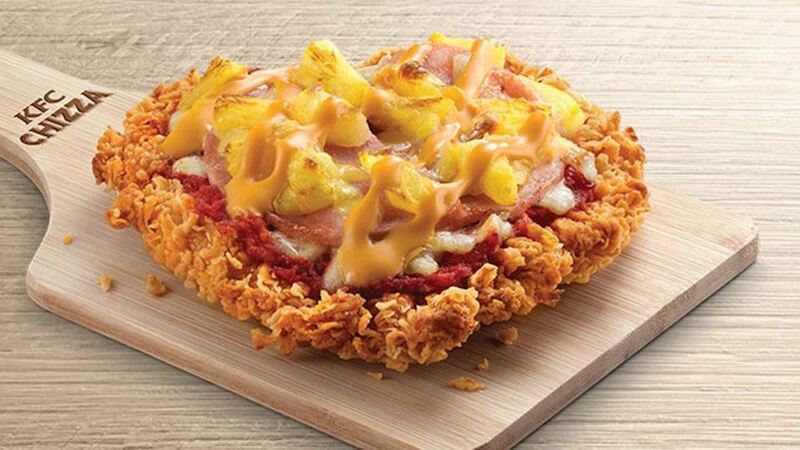 and their latest creation doesn’t fail to disappoint when it comes to crazy concepts: Fried Chicken Crust Pizza. 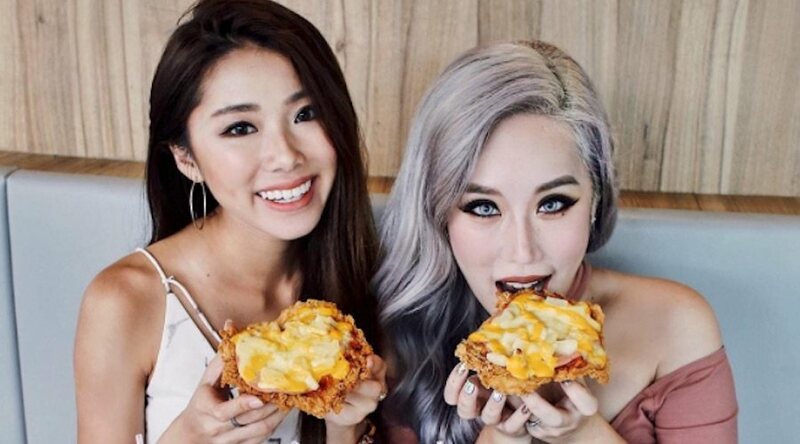 Marrying the generally separate worlds of fried chicken and pizza, the #KFCChizza (of course) kicks crust right to the curb and replaces it with a heart-shaped deep fried chicken breast, and then tops it with sauce, ham, mozzarella, and pineapple. “All chicken, no crust,” baby. If all that sounds like really good news to you (and let’s face it, it’s almost as tempting as it is revolting), sadly we are going to have to deliver some bad news: It’s not available in Canada. The #KFCChizza is only in the Asian market, which means most Canadians will just have to watch the horror (delight?) unfold with repulsion (envy?) via social media. Unless you’re in Toronto anyway. Fans of Dirty Bird in Kensington Market and The Annex can already be like; Been there. Done that. Of course, none of these soul-crushing moments are as bad as when your doctor says eating like this is killing you. Still, consumers in Singapore are saying it’s really “shiok” (which is slang for something that provides sheer pleasure) and enthusiastically ordering up their Chizzas.